If a family member has been diagnosed with an asbestos illness as a result of their employment or former employment they have the right to claim compensation against their employer, even if the business is no longer trading. 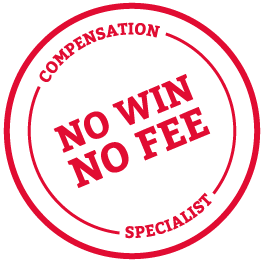 Sometimes people think that claiming compensation is not a path they want to go down, but if the illness was caused by the negligence of another party, then it is the sufferer's legal right to receive a damages award. Perhaps your loved one was not given adequate training on handling asbestos-containing materials, or maybe they weren't provided with suitable protective clothing; perhaps they were never even aware that they were handling the deadly material. Sadly, the above scenarios were all too common before the government woke up to the dangers of asbestos and the illnesses it caused. How will compensation help an asbestos victim? While the NHS is fantastic at looking after UK citizens with illnesses such as asbestosis and mesothelioma, all NHS patients are subject to waiting times for treatment and there will be a limited choice of treatments available for free. Asbestos compensation can help the sufferer gain access to alternative treatments and therapies, and maybe even surgeries not available on the NHS. Private care is also often available sooner and funds from a compensation claim, especially interim funds, can help the claimant receive treatment quickly. Tragically, certain asbestos-related illnesses, such as mesothelioma, are very likely to be fatal; by making a compensation claim through expert asbestos claim solicitors such as Thompsons Solicitors, the asbestos victim can help the future financial circumstances of his or her family. Can I claim asbestos compensation on a family member's behalf? If the asbestos exposure victim is able, i.e. has full mental capacity and is physically able, he will need to make the claim on his own behalf. However, friends and family can assist the claimant in lots of practical ways, such as helping to gather evidence and accompanying the claimant to meetings etc. If the case goes to court and the claimant is too unwell to attend, a doctor's certificate will be required. In cases where a family member has died from an asbestos-related illness, it is still possible to make a claim. The claim must be brought within three years of the death or within three years of the date that the cause was identified. If an asbestos claimant dies before the case is settled or goes to a hearing, the family will be entitled to continue the claim on the deceased's behalf. We sometimes hear family members say that their loved one "doesn't want to make a fuss" about their illness. Asbestosis, lung disease, pleural thickening and other asbestos-related diseases are serious health issues which, in many cases, have been caused because another person or organisation did not uphold their duty of care. When someone has been negligently exposed to asbestos and has then become ill as a result, it is their legal right to seek justice. If your family member is in receipt of benefits, such as Industrial Disablement Benefit, they may still be able to keep this benefit and other types of assistance such as a mobility car. Talk to Thompsons today to find out more. As one of Scotland's leading teams of asbestos claim solicitors, Thompsons is dedicated to helping claimants get the most comprehensive package of compensation in the shortest time possible. Asbestos claims can be complex, usually because of the long length of time which has passed between exposure and the illness being diagnosed. Thompsons expertise in this field has been built up over many years and we have a wide range of knowledge and information at our fingertips to assist your loved one in making a claim. We have acted for families in high-profile, landmark cases, including a secondary asbestos exposure case. We are also campaigners for justice and have a wide network of contacts with asbestos support groups who we are happy to recommend should you need help in coming to terms with your loved one's asbestos diagnosis. You can talk to us today on 0800 0891 331 about your loved one's circumstances, so that we can help you help them understand the benefits of making a claim.